For other uses, see Yorkshire (disambiguation). "County of York" redirects here. For other uses, see County of York (disambiguation). Yorkshire (/ˈjɔːrkʃər, -ʃɪər/; abbreviated Yorks), formally known as the County of York, is a historic county of Northern England and the largest in the United Kingdom. Due to its great size in comparison to other English counties, functions have been undertaken over time by its subdivisions, which have also been subject to periodic reform. Throughout these changes, Yorkshire has continued to be recognised as a geographical territory and cultural region. The name is familiar and well understood across the United Kingdom and is in common use in the media and the military, and also features in the titles of current areas of civil administration such as North Yorkshire, South Yorkshire, West Yorkshire and East Riding of Yorkshire. Within the borders of the historic county of Yorkshire are vast stretches of unspoiled countryside. This can be found in the Yorkshire Dales and North York Moors and with the open aspect of some of the major cities. Yorkshire has also been named "God's Own County" or "God's Own Country". The emblem of Yorkshire is the White Rose of the English royal House of York, and the most commonly used flag representative of Yorkshire is the White Rose on a blue background, which after nearly fifty years of use, was recognised by the Flag Institute on 29 July 2008. Yorkshire Day, held annually on 1 August, is a celebration of the general culture of Yorkshire, ranging from its history to its own dialect. Yorkshire is covered by different Government Office Regions. Most of the county falls within Yorkshire and the Humber while the extreme northern part of the county, such as Middlesbrough, Redcar, Holwick and Startforth, falls within North East England. Small areas in the west of the county are covered by the North West England region. Yorkshire or the County of York was so named as it is the shire (administrative area or county) of the city of York or York's Shire. "York" comes from the Viking name for the city, Jórvík. "Shire" is from Old English, scir meaning care or official charge. The "shire" suffix is locally pronounced /-ʃə/ "shuh", or occasionally /-ʃiə/, a homophone of "sheer". Early inhabitants of Yorkshire were Celts, who formed two separate tribes, the Brigantes and the Parisi. The Brigantes controlled territory which later became all of the North Riding of Yorkshire and the West Riding of Yorkshire. The tribe controlled most of Northern England and more territory than any other Celtic tribe in England. That they had the Yorkshire area as their heartland is evident in that Isurium Brigantum (now known as Aldborough) was the capital town of their civitas under Roman rule. Six of the nine Brigantian poleis described by Claudius Ptolemaeus in the Geographia fall within the historic county. The Parisi, who controlled the area that would become the East Riding of Yorkshire, might have been related to the Parisii of Lutetia Parisiorum, Gaul (known today as Paris, France). Their capital was at Petuaria, close to the Humber Estuary. Although the Roman conquest of Britain began in 43 AD, the Brigantes remained in control of their kingdom as a client state of Rome for an extended period, reigned over by the Brigantian monarchs Cartimandua and her husband Venutius. Initially, this situation suited both the Romans and the Brigantes, who were known as the most militant tribe in Britain. Statue of Constantine I outside York Minster. Queen Cartimandua left her husband Venutius for his armour bearer, Vellocatus, setting off a chain of events which changed control of the region. Cartimandua, due to her good relationship with the Romans, was able to keep control of the kingdom; however, her former husband staged rebellions against her and her Roman allies. At the second attempt, Venutius seized the kingdom, but the Romans, under general Petillius Cerialis, conquered the Brigantes in 71 AD. The fortified city of Eboracum (now known as York) was named as capital of Britannia Inferior and joint capital of all Roman Britain. The emperor Septimius Severus ruled the Roman Empire from Eboracum for the two years before his death. Another emperor, Constantius Chlorus, died in Eboracum during a visit in 306 AD. This saw his son Constantine the Great, who became renowned for his contributions to Christianity, proclaimed emperor in the city. In the early 5th century, the Roman rule ceased with the withdrawal of the last active Roman troops. By this stage, the Western Empire was in intermittent decline. After the Romans left, small Celtic kingdoms arose in the region, including the Kingdom of Ebrauc around York and the Kingdom of Elmet to the west. Elmet remained independent from the Germanic Northumbrian Angles until some time in the early 7th century, when King Edwin of Northumbria expelled its last king, Certic, and annexed the region. At its greatest extent, Northumbria stretched from the Irish Sea to the North Sea and from Edinburgh down to Hallamshire in the south. Scandinavian York (also referred to as Jórvík) or Danish/Norwegian York is a term used by historians for the south of Northumbria (modern day Yorkshire) during the period of the late 9th century and first half of the 10th century, when it was dominated by Norse warrior-kings; in particular, used to refer to York, the city controlled by these kings. Norse monarchy controlled varying amounts of Northumbria from 875 to 954, however the area was invaded and conquered for short periods by England between 927 and 954 before eventually being annexed into England in 954. It was closely associated with the much longer-lived Kingdom of Dublin throughout this period. An army of Danish Vikings, the Great Heathen Army as its enemies often referred to it, invaded Northumbrian territory in 866 AD. The Danes conquered and assumed what is now York and renamed it Jórvík, making it the capital city of a new Danish kingdom under the same name. The area which this kingdom covered included most of Southern Northumbria, roughly equivalent to the borders of Yorkshire extending further West. The Danes went on to conquer an even larger area of England that afterwards became known as the Danelaw; but whereas most of the Danelaw was still English land, albeit in submission to Viking overlords, it was in the Kingdom of Jórvík that the only truly Viking territory on mainland Britain was ever established. The Kingdom prospered, taking advantage of the vast trading network of the Viking nations, and established commercial ties with the British Isles, North-West Europe, the Mediterranean and the Middle East. Founded by the Dane Halfdan Ragnarsson in 875, ruled for the great part by Danish kings, and populated by the families and subsequent descendants of Danish Vikings, the leadership of the kingdom nonetheless passed into Norwegian hands during its twilight years. Eric Bloodaxe, an ex-king of Norway who was the last independent Viking king of Jórvík, is a particularly noted figure in history, and his bloodthirsty approach towards leadership may have been at least partly responsible for convincing the Danish inhabitants of the region to accept English sovereignty so readily in the years that followed. After around 100 years of its volatile existence, the Kingdom of Jorvik finally came to an end. The Kingdom of Wessex was now in its ascendant and established its dominance over the North in general, placing Yorkshire again within Northumbria, which retained a certain amount of autonomy as an almost-independent earldom rather than a separate kingdom. The Wessex Kings of England were reputed to have respected the Norse customs in Yorkshire and left law-making in the hands of the local aristocracy. In the weeks immediately leading up to the Battle of Hastings in 1066 AD, Harold II of England was distracted by events in Yorkshire. His brother Tostig and Harold Hardrada, King of Norway, attempted a takeover in the North, having won the Battle of Fulford. The King of England marched north where the two armies met at the Battle of Stamford Bridge. Tostig and Hardrada were both killed and their army was defeated decisively. However, Harold Godwinson was forced immediately to march his army back down to the South where William the Conqueror was landing. The King was defeated at Hastings, which led to the Norman conquest of England. The people of the North rebelled against the Normans in September 1069 AD, enlisting Sweyn II of Denmark. They tried to take back York, but the Normans burnt it before they could. What followed was the Harrying of the North ordered by William. From York to Durham, crops, domestic animals, and farming tools were scorched. Many villages between the towns were burnt and local northerners were indiscriminately murdered. During the winter that followed, families starved to death and thousands of peasants died of cold and hunger. Orderic Vitalis estimated that "more than 100,000" people from the North died from hunger. In the centuries following, many abbeys and priories were built in Yorkshire. Norman landowners were keen to increase their revenues and established new towns such as Barnsley, Doncaster, Hull, Leeds, Scarborough and Sheffield, among others. Of towns founded before the conquest, only Bridlington, Pocklington, and York continued at a prominent level. The population of Yorkshire boomed until hit by the Great Famine in the years between 1315 and 1322. In the early 12th century, people of Yorkshire had to contend with the Battle of the Standard at Northallerton with the Scots. Representing the Kingdom of England led by Archbishop Thurstan of York, soldiers from Yorkshire defeated the more numerous Scots. The Black Death reached Yorkshire by 1349, killing around a third of the population. Yorkist king Richard III grew up at Middleham. When King Richard II was overthrown in 1399, antagonism between the House of York and the House of Lancaster, both branches of the royal House of Plantagenet, began to emerge. Eventually the two houses fought for the throne of England in a series of civil wars, commonly known as the Wars of the Roses. Some of the battles took place in Yorkshire, such as those at Wakefield and Towton, the latter of which is known as the bloodiest battle ever fought on English soil. Richard III was the last Yorkist king. Henry Tudor, sympathiser to the House of Lancaster, defeated and killed Richard at the Battle of Bosworth Field. He then became King Henry VII and married Elizabeth of York, daughter of Yorkist Edward IV, ending the wars. The two roses of white and red, emblems of the Houses of York and Lancaster respectively, were combined to form the Tudor Rose of England. [a] This rivalry between the royal houses of York and Lancaster has passed into popular culture as a rivalry between the counties of Yorkshire and Lancashire, particularly in sport (for example the Roses Match played in County Cricket), although the House of Lancaster was based in York and the House of York in London. In football, matches between Manchester United and Leeds United are usually described as "War of the Roses" games, the teams' home kits being the colour of the respective rose. The wool textile industry, which had previously been a cottage industry, centred on the old market towns moved to the West Riding where entrepreneurs were building mills that took advantage of water power gained by harnessing the rivers and streams flowing from the Pennines. The developing textile industry helped Wakefield and Halifax grow. The English Reformation began under Henry VIII and the Dissolution of the Monasteries in 1536 led to a popular uprising known as Pilgrimage of Grace, started in Yorkshire as a protest. Some Catholics in Yorkshire continued to practise their religion and those caught were executed during the reign of Elizabeth I. One such person was a York woman named Margaret Clitherow who was later canonised. During the English Civil War, which started in 1642, Yorkshire had divided loyalties; Hull famously shut the gates of the city on the king when he came to enter a few months before fighting began, while the North Riding of Yorkshire in particular was strongly royalist. York was the base for Royalists, and from there they captured Leeds and Wakefield only to have them recaptured a few months later. The royalists won the Battle of Adwalton Moor meaning they controlled Yorkshire (with the exception of Hull). From their base in Hull the Parliamentarians ("Roundheads") fought back, re-taking Yorkshire town by town, until they won the Battle of Marston Moor and with it control of all of the North of England. In the 16th and 17th centuries Leeds and other wool-industry-centred towns continued to grow, along with Huddersfield, Hull and Sheffield, while coal mining first came into prominence in the West Riding of Yorkshire. Canals and turnpike roads were introduced in the late 18th century. In the following century the spa towns of Harrogate and Scarborough flourished, due to people believing mineral water had curative properties. Titus Salt's mill in Saltaire, Bradford is an UNESCO World Heritage Site. These grandiose Victorian engineering tunnels were built in the 1800s to channel the River Aire underneath the modern-day structure of Leeds railway station. The 19th century saw Yorkshire's continued growth, with the population growing and the Industrial Revolution continuing with prominent industries in coal, textile and steel (especially in Sheffield, Rotherham and Middlesbrough). However, despite the booming industry, living conditions declined in the industrial towns due to overcrowding. This saw bouts of cholera in both 1832 and 1848. However, advances were made by the end of the century with the introduction of modern sewers and water supplies. Several Yorkshire railway networks were introduced as railways spread across the country to reach remote areas. 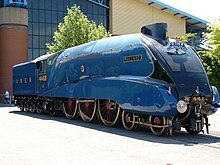 The LNER Class A4 4468 Mallard built in Doncaster is the current confirmed record holder as the fastest steam locomotive at 203 km/h (126 mph) on 3 July 1938. County councils were created for the three ridings in 1889, but their area of control did not include the large towns, which became county boroughs, and included an increasingly large part of the population. During the Second World War, Yorkshire became an important base for RAF Bomber Command and brought the county into the cutting edge of the war. In the 1970s there were major reforms of local government throughout the United Kingdom. Some of the changes were unpopular, and controversially Yorkshire and its ridings lost status in 1974 as part of the Local Government Act 1972. The East Riding was resurrected with reduced boundaries in 1996 with the abolition of Humberside. With slightly different borders, the Government Office entity which currently contains most of Yorkshire is the Yorkshire and the Humber region of England. This region includes a northern slice of Lincolnshire, but does not include the northern part of the ceremonial county of North Yorkshire (Middlesbrough and Redcar and Cleveland), which is in the North East England region. Other parts of the historic county of Yorkshire are also in other official regions. Saddleworth (now in Greater Manchester); the Forest of Bowland (Lancashire); Sedbergh and Dent (Cumbria) are in the North West England region, and Upper Teesdale (County Durham) is in North East England. Historically, the northern boundary of Yorkshire was the River Tees, the eastern boundary was the North Sea coast and the southern boundary was the Humber Estuary and Rivers Don and Sheaf. The western boundary meandered along the western slopes of the Pennine Hills to again meet the River Tees. It is bordered by several other historic counties in the form of County Durham, Lincolnshire, Nottinghamshire, Derbyshire, Cheshire, Lancashire and Westmorland. In Yorkshire there is a very close relationship between the major topographical areas and the geological period in which they were formed. 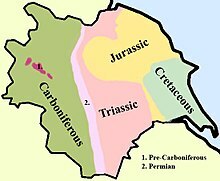 The Pennine chain of hills in the west is of Carboniferous origin. The central vale is Permo-Triassic. The North York Moors in the north-east of the county are Jurassic in age while the Yorkshire Wolds to the south east are Cretaceous chalk uplands. Yorkshire is drained by several rivers. In western and central Yorkshire the many rivers empty their waters into the River Ouse which reaches the North Sea via the Humber Estuary. The most northerly of the rivers in the Ouse system is the River Swale, which drains Swaledale before passing through Richmond and meandering across the Vale of Mowbray. Next, draining Wensleydale, is the River Ure, which the Swale joins east of Boroughbridge. Near Great Ouseburn the Ure is joined by the small Ouse Gill Beck, and below the confluence the river is known as the Ouse. The River Nidd rises on the edge of the Yorkshire Dales National Park and flows along Nidderdale before reaching the Vale of York and the Ouse. The River Wharfe, which drains Wharfedale, joins the Ouse upstream of Cawood. The Rivers Aire and Calder are more southerly contributors to the River Ouse and the most southerly Yorkshire tributary is the River Don, which flows northwards to join the main river at Goole. Further north and east the River Derwent rises on the North York Moors, flows south then westwards through the Vale of Pickering then turns south again to drain the eastern part of the Vale of York. It empties into the River Ouse at Barmby on the Marsh. In the far north of the county the River Tees flows eastwards through Teesdale and empties its waters into the North Sea downstream of Middlesbrough. The smaller River Esk flows from west to east at the northern foot of the North York Moors to reach the sea at Whitby. To the east of the Yorkshire Wolds the River Hull flows southwards to join the Humber Estuary at Kingston upon Hull. The western Pennines are drained by the River Ribble which flows westwards, eventually reaching the Irish Sea close to Lytham St Annes. The countryside of Yorkshire has acquired the common nickname of "God's Own County". Yorkshire includes the North York Moors and Yorkshire Dales National Parks, and part of the Peak District National Park. Nidderdale and the Howardian Hills are designated Areas of Outstanding Natural Beauty. Spurn Point, Flamborough Head and the coastal North York Moors are designated Heritage Coast areas, and are noted for their scenic views with rugged cliffs such as the jet cliffs at Whitby, the limestone cliffs at Filey and the chalk cliffs at Flamborough Head. Moor House – Upper Teesdale, most of which is part of the former North Riding of Yorkshire, is one of England's largest national nature reserves. The Royal Society for the Protection of Birds runs nature reserves such as the one at Bempton Cliffs with coastal wildlife such as the northern gannet, Atlantic puffin and razorbill. Spurn Point is a narrow 3-mile (4.8 km) long sand spit. It is a national nature reserve owned by the Yorkshire Wildlife Trust and is noted for its cyclical nature whereby the spit is destroyed and re-created approximately once every 250 years. There are seaside resorts in Yorkshire with sandy beaches; Scarborough is Britain's oldest seaside resort dating back to the spa town-era in the 17th century, while Whitby has been voted as the United Kingdom's best beach, with a "postcard-perfect harbour". Historically, Yorkshire was divided into three ridings and the Ainsty of York. The term 'riding' is of Viking origin and derives from Threthingr meaning a third part. The three ridings in Yorkshire were named the East Riding, West Riding and North Riding. The East and North Ridings of Yorkshire were separated by the River Derwent and the West and North Ridings were separated by the Ouse and the Ure/Nidd watershed. In 1974, the three ridings of Yorkshire were abolished and York, which had been independent of the three ridings, was incorporated into the new county called North Yorkshire. It later became part of York Unitary Authority. For statistical purposes, Yorkshire is divided, as of 2018, between three regions of England. Most of the county falls within Yorkshire and the Humber. The extreme northern part of the county, such as Middlesbrough, Redcar, Holwick and Startforth, fall within North East England. Small areas in the west of the historic county, like Saddleworth, Barnoldswick and Sedbergh, fall within North West England. During these processes the geographical or historic boundaries of Yorkshire remained unchanged. Within the regions are both ceremonial counties, and the actual units of local government, such as unitary authorities, as detailed at Local government divisions of Yorkshire and the Humber, Local government divisions of North East England and Local government divisions of North West England. 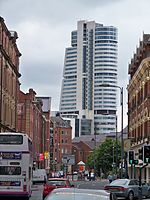 Bridgewater Place, a symbol of Leeds' growing financial importance. Yorkshire has a mixed economy, and accounts for about 8% of UK GDP. The City of Leeds is Yorkshire's largest city and the leading centre of trade and commerce. Leeds is also one of the UK's larger financial centres. Leeds' traditional industries were mixed; service-based industries, textile manufacturing and coal mining being examples. Tourism is also significant. In 2015, the value of tourism was in excess of £7 billion. Sheffield once had heavy industries, such as coal mining and the steel industry. Since the decline of such industries Sheffield has attracted tertiary and administrative businesses including more retail trade; Meadowhall being an example. However, while Sheffield's heavy industry has declined, the region has reinvented itself as a centre for specialist engineering with Boeing and Maclaren establishing facilities in the city. A cluster of hi-tech facilities including The Welding Institute and the Boeing partnered Advanced Materials Research Centre have all helped to raise the region's profile and to bring significant investment into Yorkshire. Bradford, Halifax, Keighley and Huddersfield once were centres of wool milling. Areas such as Bradford, Dewsbury and Keighley have suffered a decline in their economy since. North Yorkshire has an established tourist industry, supported by the presence of two national parks (Yorkshire Dales National Park, North York Moors National Park), Harrogate, York and Scarborough and this industry is also growing in Leeds. Kingston upon Hull is Yorkshire's largest port and has a large manufacturing base, its fishing industry has however declined somewhat in recent years. Harrogate and Knaresborough both have small legal and financial sectors. Harrogate is a European conference and exhibition destination with both the Great Yorkshire Showground and Harrogate International Centre in the town. Coal mining was extremely active in the south of the county during the 19th century and for most of the 20th century, particularly around Barnsley and Wakefield. As late as the 1970s, the number of miners working in the area was still in six figures. The industry was placed under threat on 6 March 1984 when the National Coal Board announced the closure of 20 pits nationwide (some of them in South Yorkshire). By March 2004, a mere three coalpits remained open in the area. Three years later, the only remaining coal pit in the region was Maltby Colliery near Rotherham. Yorkshire has been the focus of various industrial promotion and development initiatives, such as Yorkshire Forward, and today various local enterprise partnerships. There are also a number of innovation centres belonging to leading companies, and a range of spin-off companies linked to major universities. Many large British companies are based in Yorkshire or were founded there. These include HSBC (Sheffield), Morrisons (Bradford), Asda (Leeds), Jet2.com (Leeds), Ronseal (Sheffield), Optare (Leeds), Aunt Bessie's (Hull), Birds Eye (Hull), Wharfedale (Leeds), Plaxton (Scarborough), Seven Seas (Hull), Little Chef (Sheffield), Plusnet (Sheffield), Quidco (Sheffield), Fenner plc (Hull), Halifax Bank (Halifax), Rank Organisation (Hull), Yorkshire Bank (Leeds), William Jackson Food Group (Hull), Yorkshire Building Society (Bradford), Ebuyer (Howden), GHD (Leeds), Marks and Spencer (Leeds), Burtons (Leeds), Jaeger (Ilkley), Magnet Kitchens (Keighley), Reckitt and Sons (Hull), McCains (Scarborough), First Direct (Leeds), KCOM Group (Hull), Tetley's Brewery (Leeds), Timothy Taylor Brewery (Keighley), Bradford and Bingley (Bingley), Skipton Building Society (Skipton), Bettys and Taylors of Harrogate, SGS Europe (Hull) and Provident Financial (Bradford). Yorkshire has a large base of primary and secondary schools operated by both local authorities and private bodies, and a dozen universities, along with a wide range of colleges and further education facilities. Four universities are based in Leeds, two in Sheffield, two in York, and one each in Bradford, Hull, Middlesbrough and Huddersfield (the last with branches in Barnsley and Oldham). The largest universities by enrolment are Sheffield Hallam University and the University of Leeds, each with over 31,000 students, followed by Leeds Beckett University, and the most recent to attain university status is the Leeds Arts University. There are also branches of institutions headquartered in other parts of England, such as the Open University and Britain's first for-profit university (since 2012), the University of Law. The tertiary sector is in active cooperation with industry, and a number of spin-off companies have been launched. The most prominent road in Yorkshire, historically called the Great North Road, is known as the A1. This trunk road passes through the centre of the county and is the prime route from London to Edinburgh. Another important road is the more easterly A19 road which starts in Doncaster and ends just north of Newcastle-upon-Tyne at Seaton Burn. The M62 motorway crosses the county from east to west from Hull towards Greater Manchester and Merseyside. The M1 carries traffic from London and the south of England to Yorkshire. 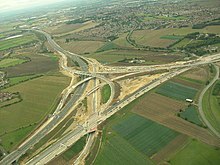 In 1999, about 8 miles (13 km) was added to make it swing east of Leeds and connect to the A1. The East Coast Main Line rail link between Scotland and London runs roughly parallel with the A1 through Yorkshire and the Trans Pennine rail link runs east to west from Hull to Liverpool via Leeds. Before the advent of rail transport, the seaports of Hull and Whitby played an important role in transporting goods. Historically canals were used, including the Leeds and Liverpool Canal, which is the longest canal in England. Mainland Europe (the Netherlands and Belgium) can be reached from Hull via regular ferry services from P&O Ferries. Yorkshire also has air transport services from Leeds Bradford International Airport. This airport has experienced significant and rapid growth in both terminal size and passenger facilities since 1996, when improvements began, until the present day. South Yorkshire is served by the Robin Hood Airport Doncaster Sheffield, based in Finningley. Sheffield City Airport opened in 1997 after years of Sheffield having no airport, due to a council decision in the 1960s not to develop one because of the city's good rail links with London and the development of airports in other nearby areas. The newly opened airport never managed to compete with larger airports such as Leeds Bradford International Airport and East Midlands Airport and attracted only a few scheduled flights, while the runway was too short to support low cost carriers. The opening of Doncaster Sheffield Airport effectively made the airport redundant and it officially closed in April 2008. The average amount of time people spend on public transport in Yorkshire on a weekday is 77 minutes. 26.6% of public transport users travel for more than 2 hours every day. The average amount of time people wait at a stop or station for public transport is 16 minutes, while 24.9% of passengers wait for over 20 minutes on average every day. The average distance people usually ride in a single trip with public transport is 7 km, while 10% travel for over 12 km in a single direction. The culture of the people of Yorkshire is an accumulated product of a number of different civilisations who have influenced its history, including; the Celts (Brigantes and Parisii), Romans, Angles, Norse Vikings, Normans and amongst others. The western part of the historic North Riding had an additional infusion of Breton culture due to the Honour of Richmond being occupied by Alain Le Roux, grandson of Geoffrey I, Duke of Brittany. The people of Yorkshire are immensely proud of their county and local culture and it is sometimes suggested they identify more strongly with their county than they do with their country. Yorkshire people have their own Yorkshire dialects and accents and are, or rather were, known as Broad Yorkshire or Tykes, with its roots in Old English and Old Norse. Though distinct accents remain, dialects are no longer in everyday use. Some have argued the dialect was a fully fledged language in its own right. The county has also produced a set of Yorkshire colloquialisms, which are in use in the county. Among Yorkshire's traditions is the Long Sword dance. The most famous traditional song of Yorkshire is On Ilkla Moor Baht 'at ("On Ilkley Moor without a hat"), it is considered the unofficial anthem of the county. Throughout Yorkshire many castles were built during the Norman-Breton period, particularly after the Harrying of the North. These included Bowes Castle, Pickering Castle, Richmond Castle, Skipton Castle, York Castle and others. Later medieval castles at Helmsley, Middleham and Scarborough were built as a means of defence against the invading Scots. Middleham is notable because Richard III of England spent his childhood there. The remains of these castles, some being English Heritage sites, are popular tourist destinations. There are several stately homes in Yorkshire which carry the name "castle" in their title, even though they are more akin to a palace. The most notable examples are Allerton Castle and Castle Howard, both linked to the Howard family. Castle Howard and the Earl of Harewood's residence, Harewood House, are included amongst the Treasure Houses of England, a group of nine English stately homes. There are numerous other Grade I listed buildings within the historic county including public buildings such as Leeds Town Hall, Sheffield Town Hall, Ormesby Hall, the Yorkshire Museum and Guildhall at York, and the Piece Hall in Halifax. Large estates with significant buildings were constructed at Brodsworth Hall, Temple Newsam and Wentworth Castle. In addition to this there are properties which are conserved and managed by the National Trust, such as Nunnington Hall, the Rievaulx Terrace & Temples and Studley Royal Park. Religious architecture includes extant cathedrals as well as the ruins of monasteries and abbeys. Many of these prominent buildings suffered from the Dissolution of the Monasteries under Henry VIII; these include Bolton Abbey, Fountains Abbey, Gisborough Priory, Rievaulx Abbey, St Mary's Abbey and Whitby Abbey among others. 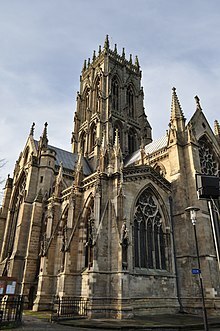 Notable religious buildings of historic origin still in use include York Minster, the largest Gothic cathedral in northern Europe, Beverley Minster, Bradford Cathedral and Ripon Cathedral. Although the first Professor of English Literature at Leeds University, F.W. Moorman, claimed the first extant work of English literature, Beowulf, was written in Yorkshire, this view does not have common acceptance today. However, when Yorkshire formed the southern part of the kingdom of Northumbria there were several notable poets, scholars and ecclesiastics, including Alcuin, Cædmon and Wilfrid. 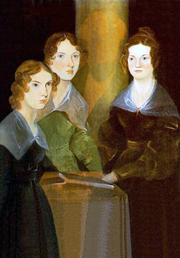 The most esteemed literary family from the county are the three Brontë sisters, with part of the county around Haworth being nicknamed Brontë Country in their honour. Their novels, written in the mid-19th century, caused a sensation when they were first published, yet were subsequently accepted into the canon of great English literature. Among the most celebrated novels written by the sisters are Anne Brontë's The Tenant of Wildfell Hall, Charlotte Brontë's Jane Eyre and Emily Brontë's Wuthering Heights. Wuthering Heights was almost a source used to depict life in Yorkshire, illustrating the type of people that reside there in its characters, and emphasising the use of the stormy Yorkshire moors. Nowadays, the parsonage which was their former home is now a museum in their honour. Bram Stoker authored Dracula while living in Whitby and it includes several elements of local folklore including the beaching of the Russian ship Dmitri, which became the basis of Demeter in the book. The novelist tradition in Yorkshire continued into the 20th century, with authors such as J. B. Priestley, Alan Bennett, Stan Barstow, Dame Margaret Drabble, A S Byatt, and Barbara Taylor Bradford being prominent examples. Taylor Bradford is noted for A Woman of Substance which was one of the top-ten best selling novels in history. Another well-known author was children's writer Arthur Ransome, who penned the Swallows and Amazons series. James Herriot, the best selling author of over 60 million copies of books about his experiences of some 50 years as a veterinarian in Thirsk, North Yorkshire, the town which he refers to as Darrowby in his books (although born in Sunderland), has been admired for his easy reading style and interesting characters. Poets include Ted Hughes, W. H. Auden, William Empson, Simon Armitage and Andrew Marvell. Three well known sculptors emerged in the 20th century; contemporaries Henry Moore and Barbara Hepworth, and Leeds-raised eco artist Andy Goldsworthy. Some of their works are available for public viewing at the Yorkshire Sculpture Park. There are several art galleries in Yorkshire featuring extensive collections, such as Ferens Art Gallery, Leeds Art Gallery, Millennium Galleries and York Art Gallery. Some of the better known local painters are William Etty and David Hockney; many works by the latter are housed at Salts Mill 1853 Gallery in Saltaire. Yorkshire has a long tradition in the field of sports, with participation in cricket, football, rugby league and horse racing being the most established sporting ventures. Yorkshire County Cricket Club represents the historic county in the domestic first class cricket County Championship; with a total of 33 championship titles (including one shared), 13 more than any other county, Yorkshire is the most decorated county cricket club. Some of the most highly regarded figures in the game were born in the county, amongst them Geoffrey Boycott, Brian Close, George Hirst, Len Hutton, Stanley Jackson, Ray Illingworth, Wilfred Rhodes, Joe Root, Herbert Sutcliffe, Fred Trueman and Hedley Verity. England's oldest horse race, which began in 1519, is run each year at Kiplingcotes near Market Weighton. Continuing this tradition in the field of horse racing, there are currently nine established racecourses in the county. Britain's oldest organised fox hunt is the Bilsdale, founded in 1668. Yorkshire is officially recognised by FIFA as the birthplace of club football, as Sheffield FC founded in 1857 are certified as the oldest association football club in the world. The world's first inter-club match and local derby was competed in the county, at the world's oldest ground Sandygate Road. The Laws of the Game, used worldwide, were drafted by Ebenezer Cobb Morley from Hull. Football clubs founded in Yorkshire include Barnsley, Bradford City, Doncaster Rovers, Huddersfield Town, Hull City, Leeds United, Middlesbrough, Rotherham United, Sheffield United, Sheffield Wednesday and York City, four of which have been the league champions. Huddersfield were the first club to win three consecutive league titles. Middlesbrough came to prominence by reaching the 2006 UEFA Cup Final and winning the 2004 League Cup. Leeds United are arguably the biggest team in Yorkshire, reaching the semi-finals of the UEFA Champions League in 2001 and having a period of dominance in the 1970s; this position is often paralleled with Sheffield Wednesday who have had similar spells of dominance, most recently in the early 1990s. Noted players from Yorkshire who have influenced the game include World Cup-winning goalkeeper Gordon Banks and two time European Footballer of the Year award winner Kevin Keegan. Prominent managers include Herbert Chapman, Brian Clough, Bill Nicholson, George Raynor and Don Revie. The Yorkshire International Football Association was founded in 2017. It organises the Yorkshire football team and is a member of the Confederation of Independent Football Associations (CONIFA). The Rugby Football League and with it the sport of rugby league was founded in 1895 at the George Hotel, Huddersfield, after a North-South schism within the Rugby Football Union. The top league is the Super League and the most decorated Yorkshire clubs are Huddersfield Giants, Hull FC, Bradford Bulls, Hull Kingston Rovers, Wakefield Trinity Wildcats, Castleford Tigers and Leeds Rhinos. In total six Yorkshiremen have been inducted into the Rugby Football League Hall of Fame amongst them is Roger Millward, Jonty Parkin and Harold Wagstaff. In the area of boxing "Prince" Naseem Hamed from Sheffield achieved title success and widespread fame, in what the BBC describes as "one of British boxing's most illustrious careers". Along with Leeds-born Nicola Adams who in 2012 became the first female athlete to win a boxing gold medal at the Olympics. Yorkshire also has an array of racecourses: in North Yorkshire there are Catterick, Redcar, Ripon, Thirsk and York; in the East Riding of Yorkshire there is Beverley; in West Yorkshire there are Pontefract and Wetherby; while in South Yorkshire there is Doncaster. The sport of Knurr and Spell was unique to the region, being one of the most popular sports in the area during the 18th and 19th centuries, before a decline in the 20th century to virtual obscurity. A number of athletes from or associated with Yorkshire took part in the 2012 Summer Olympics as members of Team GB; the Yorkshire Post stated that Yorkshire's athletes alone secured more gold medals than those of Spain. Notable Yorkshire athletes include Jessica Ennis-Hill and the Brownlee brothers, Jonathan and Alastair. Jessica Ennis-Hill is from Sheffield and won gold at the 2012 Olympics in London and silver at the 2016 Olympics in Rio. Triathletes Alastair and Jonny Brownlee have won two golds and a silver and bronze respectively. In 2014 the County hosted the Grande Depart of the Tour de France. Spectator crowds over the two days were estimated to be of the order of 2.5 million people. The inaugural Tour de Yorkshire was held from 1–3 May 2015, with start and finishes in Bridlington, Leeds, Scarborough, Selby, Wakefield and York, watched by 1.2 million. Yorkshire puddings, served as part of a traditional Sunday roast. The traditional cuisine of Yorkshire, in common with the North of England in general, is known for using rich-tasting ingredients, especially with regard to sweet dishes, which were affordable for the majority of people. There are several dishes which originated in Yorkshire or are heavily associated with it. Yorkshire pudding, a savoury batter dish, is by far the best known of Yorkshire foods, and is eaten throughout England. It is commonly served with roast beef and vegetables to form part of the Sunday roast but is traditionally served as a starter dish filled with onion gravy within Yorkshire. Yorkshire pudding is the base for toad in the hole, a dish containing sausage. Other foods associated with the county include Yorkshire curd tart, a curd tart recipe with rosewater; parkin, a sweet ginger cake which is different from standard ginger cakes in that it includes oatmeal and treacle; and Wensleydale cheese, a cheese made with milk from Wensleydale and often eaten as an accompaniment to sweet foods. The beverage ginger beer, flavoured with ginger, came from Yorkshire and has existed since the mid-18th century. Liquorice sweet was first created by George Dunhill from Pontefract, who in the 1760s thought to mix the liquorice plant with sugar. Yorkshire and in particular the city of York played a prominent role in the confectionery industry, with chocolate factories owned by companies such as Rowntree's, Terry's and Thorntons inventing many of Britain's most popular sweets. Another traditional Yorkshire food is pikelets, which are similar to crumpets but much thinner. The Rhubarb Triangle is a location within Yorkshire which supplies most of the rhubarb to locals. In recent years curries have become popular in the county, largely due to the immigration and successful integration of Asian families. There are many famous curry empires with their origins in Yorkshire, including the 850-seater Aakash restaurant in Cleckheaton, which has been described as "the world's largest curry house". Yorkshire has a number of breweries including Black Sheep, Copper Dragon, Cropton Brewery, John Smith's, Sam Smith's, Kelham Island Brewery, Theakstons, Timothy Taylor, Wharfedale Brewery and Leeds Brewery. The beer style most associated with the county is bitter. As elsewhere in the North of England, when served through a handpump, a sparkler is used giving a tighter, more solid head. Brewing has taken place on a large scale since at least the 12th century, for example at the now derelict Fountains Abbey which at its height produced 60 barrels of strong ale every ten days. Most current Yorkshire breweries date from the Industrial Revolution of the late 18th and early 19th century. Yorkshire has a heritage of folk music and folk dance including the Long Sword dance. Yorkshire folk song was distinguished by the use of dialect, particularly in the West Riding and exemplified by the song 'On Ilkla Moor Baht 'at', probably written in the late 19th century, using a Kent folk tune (almost certainly borrowed via a Methodist hymnal), seen as an unofficial Yorkshire anthem. 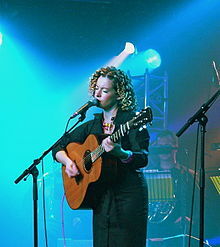 Famous folk performers from the county include the Watersons from Hull, who began recording Yorkshire versions of folk songs from 1965; Heather Wood (born 1945) of the Young Tradition; the short-lived electric folk group Mr Fox (1970–72), The Deighton Family; Julie Matthews; Kathryn Roberts; and Kate Rusby. Yorkshire has a flourishing folk music culture, with over forty folk clubs and thirty annual folk music festivals. The 1982 Eurovision Song Contest was held in the Harrogate International Centre. In 2007 the Yorkshire Garland Group was formed to make Yorkshire folk songs accessible online and in schools. In the field of classical music, Yorkshire has produced some major and minor composers, including Frederick Delius, George Dyson, Edward Bairstow, William Baines, Kenneth Leighton, Eric Fenby, Haydn Wood, Arthur Wood, Arnold Cooke, Gavin Bryars, and in the area of TV, film and radio music, John Barry and Wally Stott. The county is home to successful brass bands such as Black Dyke, Brighouse & Rastrick, Carlton Main Frickley, Hammonds Saltaire, and Yorkshire Imperial. During the 1970s David Bowie, himself of a father from Tadcaster in North Yorkshire, hired three musicians from Hull: Mick Ronson, Trevor Bolder and Mick Woodmansey; together they recorded Ziggy Stardust and the Spiders from Mars, an album considered by a magazine article as one of a 100 greatest and most influential of all time. In the following decade, Def Leppard, from Sheffield, achieved worldwide fame, particularly in America. Their 1983 album Pyromania and 1987 album Hysteria are among the most successful albums of all time. Yorkshire had a very strong post-punk scene which went on to achieve widespread acclaim and success, including: The Sisters of Mercy, The Cult, Vardis, Gang of Four, ABC, The Human League, New Model Army, Soft Cell, Chumbawamba, The Wedding Present and The Mission. Pulp from Sheffield had a massive hit in "Common People" during 1995; the song focuses on working-class northern life. 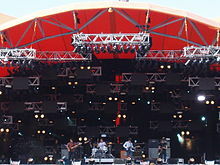 In the 21st century, indie rock and post-punk revival bands from the area gained popularity, including the Kaiser Chiefs, The Cribs and the Arctic Monkeys, the last-named holding the record for the fastest-selling debut album in British music history with Whatever People Say I Am, That's What I'm Not. Among prominent British television shows filmed in (and based on) Yorkshire are the sitcom Last of the Summer Wine, the drama series Heartbeat, and the soap operas Emmerdale and Downton Abbey. Last of the Summer Wine in particular is noted for holding the record of longest-running comedy series in the world, from 1973 until 2010. Other notable television series set in Yorkshire include All Creatures Great and Small, The Beiderbecke Trilogy, Rising Damp, Fat Friends and The Royal. Several noted films are set in Yorkshire, including Kes, This Sporting Life, Room at the Top, Brassed Off, Mischief Night, Rita, Sue and Bob Too and Calendar Girls. The Full Monty, a comedy film set in Sheffield, won an Academy Award and was voted the second best British film of all time by ANI. Yorkshire has remained a popular location for filming in more recent times. For example, much of ITV's highly acclaimed Victoria was filmed in the region, at locations such as Harewood House in Leeds and Beverley Minster; the latter was used to depict Westminster Abbey and St James’ Palace. West Yorkshire has particularly benefited from a great deal of production activity. For example, portions of the BBC television series Happy Valley and Last Tango in Halifax were filmed in the area, in Huddersfield and other cities; in addition to exteriors, some of the studio filming for Happy Valley was done at North Light Film Studios at Brookes Mill, Huddersfield. As well, the BBC's Jamaica Inn, for the BBC's Remember Me and for ITV series Black Work, were also filmed at the studios and in nearby West Yorkshire locations. More recently, many of the exteriors of the BBC series Jericho were filmed at the nearby Rockingstone Quarry and some interior work was done at North Light Film Studios. William Wilberforce, leading abolitionist, was the MP for Yorkshire in 1784–1812. From 1290, Yorkshire was represented by two members of parliament of the House of Commons of the Parliament of England. After the union with Scotland, two members represented the county in the Parliament of Great Britain from 1707 to 1800 and of the Parliament of the United Kingdom from 1801 to 1832. In 1832 the county benefited from the disfranchisement of Grampound by taking an additional two members. Yorkshire was represented at this time as one single, large, county constituency. Like other counties, there were also some county boroughs within Yorkshire, the oldest of which was the City of York, which had existed since the ancient Montfort's Parliament of 1265. After the Reform Act 1832, Yorkshire's political representation in parliament was drawn from its subdivisions, with members of parliament representing each of the three historic Ridings of Yorkshire; East Riding, North Riding, and West Riding constituencies. For the 1865 general elections and onwards, the West Riding was further divided into Northern, Eastern and Southern parliamentary constituencies, though these only lasted until the major Redistribution of Seats Act 1885. This act saw more localisation of government in the United Kingdom, with the introduction of 26 new parliamentary constituencies within Yorkshire, while the Local Government Act 1888 introduced some reforms for the county boroughs, of which there were eight in Yorkshire by the end of the 19th century. With the Representation of the People Act 1918 there was some reshuffling on a local level for the 1918 general election, revised again during the 1950s. The most controversial reorganisation of local government in Yorkshire was the Local Government Act 1972, put into practice in 1974. Under the act, the Ridings lost their lieutenancies, shrievalties, and administrative counties. County boroughs and their councils were abolished, to be replaced by metropolitan and non-metropolitan counties with vastly changed borders. Although some government officials and Prince Charles have asserted such reform is not meant to alter the ancient boundaries or cultural loyalties, there are pressure groups such as the Yorkshire Ridings Society who want greater recognition for the historic boundaries. In 1996 the East Riding of Yorkshire was reformed as a unitary authority area and a ceremonial county. The Yorkshire and the Humber region of Government Office covers most, but not all of the historic county. Yorkshire and the Humber is a constituency for European elections, returning six MEPs to the European Parliament. There is something characteristic about the very physiognomy of the Yorkshireman. He is much more of a Dane or a Viking than a Saxon. He is usually a big upstanding man, who looks as if he could take care of himself and those who depend upon him in an emergency. This is indeed the character that his neighbours give him; the southerner may think him a little hard: but if ever our country is let down by its inhabitants, we may be sure that it will not be the fault of Yorkshire. During the premiership of William Pitt the Younger the hypothetical idea of Yorkshire becoming independent was raised in the British parliament in relation to the question whether Ireland should become part of the United Kingdom. This resulted in an anonymous pamphlet being published in London in 1799 arguing at length that Yorkshire could never be an independent state as it would always be reliant on the rest of the United Kingdom to provide it with essential resources. Although in the devolution debates in the House of Commons of the late 1960s, which paved the way for the 1979 referenda on the creation of a Scottish parliament and Welsh assembly, parallel devolution for Yorkshire was suggested, this was opposed by the Scottish Nationalist Party Member of Parliament for Hamilton, Winifred Ewing. Ewing argued that it was offensive to Scots to argue that an English region had the same status as an 'ancient nation' such as Scotland. The nationalist movement in Scotland is associated with flags, strange costumes, weird music and extravagant ceremonial. When... people go to Yorkshire and find that we have no time for dressing up, waving flags and playing strange instruments—in other words, we are not a lot of Presbyterians in Yorkshire—they should not assume that we do not have the same feelings underneath the skin. Independence in Yorkshire expresses itself in a markedly increasing determination to establish self-reliance. Yorkshire and the Humber has distinctive characteristics which make it an ideal test bed for further reform. It has a strong popular identity. The region follows closely the historic boundaries of the three Ridings, and there is no serious debate about boundaries. It possesses strong existing regional partnerships including universities, voluntary and church associations. All this makes it realistic to regard Yorkshire and the Humber as the standard bearer for representative regional government. If Yorkshire is arguing for a parliament, there needs to be a cultural argument as well, otherwise why not have a parliament of the north? There is a rediscovery of political and social culture going on in a very similar way to the early assertions of a Scottish identity. In March 2013, the Yorkshire Devolution Movement was founded as an active campaign group by Nigel Sollitt, who had administrated the social media group by that name since 2011, Gareth Shanks, a member of the social media group, and Stewart Arnold, former Chair of the Campaign for Yorkshire. In September 2013, the Executive Committee was joined by Richard Honnoraty and Richard Carter (as an advisor), who had also been involved in the Campaign for Yorkshire. The Movement campaigns for a directly elected parliament for the whole of the traditional county of Yorkshire with powers second to no other devolved administration in the UK. In 2014, Richard Carter, Stewart Arnold and Richard Honnoraty, founded Yorkshire First, a political party campaigning for the creation of a Yorkshire parliament by 2050 based on the Scottish Parliament. It was later renamed the Yorkshire Party. When the territory of Yorkshire began to take shape as a result of the invasion of the Danish vikings, they instituted a monarchy based at the settlement of Jórvík, York. The reign of the Viking kings came to an end with the last king Eric Bloodaxe dying in battle in 954 after the invasion and conquest by the Kingdom of England from the south. Jórvík was the last of the independent kingdoms to be taken to form part of the Kingdom of England and thus the local monarchal title became defunct. Though the monarchal title became defunct, it was succeeded by the creation of the Earl of York title of nobility by king of England Edgar the Peaceful in 960. (The earldom covered the general area of Yorkshire and is sometimes referred to as the Earl of Yorkshire.) The title passed through the hands of various nobles, decided upon by the king of England. The last man to hold the title was William le Gros, however the earldom was abolished by Henry II as a result of a troubled period known as The Anarchy. The peerage was recreated by Edward III in 1385, this time in the form of the prestigious title of Duke of York which he gave to his son Edmund of Langley. Edmund founded the House of York; later the title was merged with that of the King of England. Much of the modern-day symbolism of Yorkshire, such as the White Rose of York, is derived from the Yorkists, giving the house a special affinity within the culture of Yorkshire. Especially celebrated is the Yorkist king Richard III who spent much of his life at Middleham Castle in Yorkshire. Since that time the title has passed through the hands of many, being merged with the crown and then recreated several times. The title of Duke of York is given to the second son of the British monarch. For a more comprehensive list, see List of people from Yorkshire. a Though the Wars of the Roses were fought between royal houses bearing the names of York and Lancaster, the wars took place over a wide area of England. They were a dynastic clash between cadet branches of the House of Plantagenet. The most prominent family in Yorkshire, below the monarchy, the Nevilles of Sheriff Hutton and Middleham, fought for the Yorkists, as did the Scropes of Bolton, the Latimers of Danby and Snape, as well as the Mowbrays of Thirsk and Burton in Lonsdale. Yet some fought for the Lancastrians, such as the Percies, the Cliffords of Skipton, Ros of Helmsley, Greystock of Henderskelfe, Stafford of Holderness, and Talbot of Sheffield. ^ a b c d e f "200 years of the Census in Yorkshire" (PDF). National Statistics. 2001. Retrieved 15 July 2008. Note that the area of Yorkshire increases slightly from 3,669,510 acres (14,850 km2) in 1831 to 3,883,979 acres (15,718 km2) in 1901 and then reduces to 2,941,246 acres (11,903 km2) in 1991, so that these three figures relate to different areas. ^ Gibbons, G. (1969). "Yorkshire: Britain's Largest County". Geographica Ltd. London. ^ a b c Allen, Liam (1 August 2006). "What's so special about Yorkshire?". BBC. Retrieved 15 July 2008. ^ "New Yorkshire Regiment is formed". BBC. 6 June 2006. Retrieved 8 October 2008. ^ Benjamin, Alison; Wainwright, Martin (20 October 2007). "And the winner of the award for the greenest city in Britain is ... Bradford". The Guardian. London. Retrieved 24 October 2007. ^ "Green space conference comes to UK's 'greenest city'". Yorkshire Forward. 23 March 2006. Archived from the original on 18 November 2006. Retrieved 24 October 2007. ^ a b "God's own Country". The Guardian. London. 2 June 2006. Retrieved 24 October 2007. ^ "The Olympics are just what we need to bring Yorkshiremen together as a nation". The Telegraph. Retrieved 20 April 2016. ^ "Yorkshire (United Kingdom)". CRWFlags.nom. Retrieved 25 October 2007. ^ Wainwright, Martin (29 July 2008). "Proud Yorkshire can finally fly white rose flag without charge". The Guardian. London. Retrieved 29 July 2008. ^ "Yorkshire Day". Army.mod.uk. 18 February 2008. Archived from the original on 14 January 2009. Retrieved 3 October 2008. ^ Harper, Douglas. "Shire". Online Etymology Dictionary. Retrieved 27 April 2014. ^ Mills, A.D. (2003). Oxford Dictionary of British Place Names. Oxford: Oxford University Press. ISBN 978-0-19-852758-9. ^ "The Brigantes". Roman-Britain.org. Archived from the original on 31 December 2006. Retrieved 24 October 2007. ^ "The Parisii". Roman-Britain.org. Retrieved 24 October 2007. ^ "Romans in Britain". Romans-In-Britain.org.uk. Archived from the original on 17 October 2007. Retrieved 25 October 2007. ^ "Cartimandua". West Yorkshire Archaeology Advisory Service. 2007. Archived from the original on 9 October 2007. Retrieved 3 October 2008. ^ "The Brigantes". House Shadow Drake. Archived from the original on 21 October 2006. Retrieved 25 October 2007. ^ "Lower (Britannia Inferior) and Upper Britain (Britannia Superior)". VanderBilt.edu. Retrieved 24 October 2007. ^ a b "Roman York – a brief introduction to York's Roman History". York Roman Festival. Archived from the original on 2 October 2007. Retrieved 25 October 2007. ^ "Roman York". Britain Express. Retrieved 25 October 2007. ^ "Ebrauc". HistoryFiles.co.uk. Retrieved 25 October 2007. ^ "Elmet". HistoryFiles.co.uk. Retrieved 25 October 2007. ^ "The Anglo-Saxons". BBC. Retrieved 25 October 2007. ^ "What Happened to Them?". Jorvik-Viking-Centre.co.uk. Archived from the original on 12 October 2007. Retrieved 25 October 2007. ^ "The Viking Kingdom of York". Viking.no. 15 April 2000. Retrieved 24 October 2007. ^ "Narrative History of York: Viking Times". Britannia.com. Retrieved 25 October 2007. ^ a b "Part Two – Jorvik and the Viking Age (866 AD – 1066 AD)". NorthEastEngland.net. Retrieved 25 October 2007. ^ "Eric Bloodaxe". HistoryFiles.co.uk. Retrieved 25 October 2007. ^ "Narrative History of York: Late Saxon Times". Britannia.com. Retrieved 25 October 2007. ^ "Resistance in the North East – 1069". The Norman Conquest School Site. Retrieved 3 October 2008. ^ "Harrying of the North". The Norman Conquest School Site. Retrieved 24 October 2007. ^ "Orderic's reaction". The Norman Conquest School Site. Retrieved 24 October 2007. ^ a b c "Yorkshire". LocalHistories.org. Retrieved 24 October 2007. ^ "The Battle of the Standard". Britain Express. Retrieved 25 October 2007. ^ a b "Middleham Castle". RichardIII.com. Archived from the original on 13 August 2007. Retrieved 24 October 2007. ^ Gravett, Christopher (1999). Towton 1461: England's Bloodiest Battle. Osprey Publishing. ISBN 978-0-415-09378-1. ^ Hey, David (2005). History of Yorkshire: County of the Broad Acres. Carnegie Publishing. ISBN 1-85936-122-6. ^ "William Hirst – Leeds woollen industry pioneer". BBC. Retrieved 25 November 2007. ^ "St. Margaret Clitherow". Catholic Encyclopedia. Retrieved 25 November 2007. ^ "Seeds of the English Civil War". BBC. Retrieved 25 November 2007. ^ "Historic Cleveland – Timeline". Historic-Cleveland.co.uk. Archived from the original on 30 November 2007. Retrieved 25 November 2007. ^ "The York March and Marston Moor". British-Civil-Wars.co.uk. Retrieved 25 November 2007. ^ "History of the NUM: 1 – Towards A National Union". NUM.org.uk. Retrieved 25 November 2007. ^ "Harrogate, Yorkshire Spa town". Great-British.co.uk. Retrieved 25 November 2007. ^ "The Historical Society for Leeds and District". Thoresby.org.uk. Retrieved 25 November 2007. ^ "National Railway Museum, York". NRM.org.uk. Retrieved 25 November 2007. ^ Halpenny, Bruce Barrymore (1982). Action Stations: Military Airfields of Yorkshire v. 4. PSL. ISBN 978-0-85059-532-1. ^ a b "Local Government Structure". Politics.co.uk. Archived from the original on 11 February 2007. Retrieved 25 November 2007. ^ a b c "Yorkshire Geology". Genuki.org. Retrieved 24 October 2007. ^ "The historic counties of England". JLCarr.info. Archived from the original on 8 February 2005. Retrieved 24 October 2007. ^ a b c d e f British Canoe Union, Yorkshire; Humberside Region, Access and Recreation Committees; prepared by Mike Twiggs & David Taylor (1992). Yorkshire Rivers: A Canoeists Guide. Menasha Ridge Press. ISBN 978-1-871890-16-7. ^ "Areas of Outstanding Natural Beauty". Natural England. Archived from the original on 23 December 2008. Retrieved 3 May 2008. ^ "Heritage Coasts". Natural England. Archived from the original on 25 June 2008. Retrieved 3 May 2008. ^ a b "Yorkshire and Humberside: the North East". BritainGallery. Retrieved 24 October 2007. ^ "A Filey Walk". FileyBay.com. Retrieved 24 October 2007. ^ "North Yorkshire Heritage Coast". Britain Express. Retrieved 24 October 2007. ^ "Moor House-Upper Teesdale NNR". Natural England. Retrieved 16 July 2009. ^ "About Bempton Cliffs". RSPB.org.uk. Retrieved 24 October 2007. ^ "A cyclic coastal landform". Spurn Point. Archived from the original on 17 October 2007. Retrieved 24 October 2007. ^ "In pictures: Scarborough". BBC. 20 August 2006. Retrieved 24 October 2007. ^ "Report rates the best UK beaches". BBC. 9 May 2006. Retrieved 24 October 2007. ^ Hinson, Colin (2011). "GENUKI: Yorkshire Genealogy". genuki.org.uk. Retrieved 29 June 2011. ^ "LGBCE – Yorkshire and the Humber". lgbce.org.uk. 2011. Retrieved 29 June 2011. ^ "Economy". Yorkshire Universities. 2012–2014. Archived from the original on 7 September 2014. Retrieved 10 November 2017. ^ "Advanced Materials Research Centre". amrc.co.uk. Archived from the original on 26 April 2009. Retrieved 10 November 2009. ^ "BBC – Bradford and West Yorkshire – A Sense of Place – Coal mining in West Yorkshire: The end of an era". Retrieved 16 November 2011. ^ "Watching the pits disappear". London: BBC News. 5 March 2004. Retrieved 16 November 2011. ^ "Jobs safeguarded as coal pit sold". London: BBC News. 27 February 2007. Retrieved 16 November 2011. ^ "Region: North East – Trunk Road A1 in the North Riding of Yorkshire". The Motorway Archive. Archived from the original on 17 October 2007. Retrieved 24 October 2007. ^ Marshall, Chris; Jones, Clive; Chris "c2R"; Mohan, John; Carty, George (2008). "Motorway Database". CBRD. Archived from the original on 11 May 2008. Retrieved 24 April 2008. ^ "M62 Liverpool to Hull". Government of the United Kingdom. Archived from the original on 21 November 2008. Retrieved 24 October 2007. ^ Marshall, Chris (2008). "Motorway Database". CBRD. Retrieved 24 April 2008. ^ "East Coast Mainline Upgrade Could Create 2000 New Jobs". Yorkshire Forward. Archived from the original on 11 November 2006. Retrieved 24 October 2007. ^ "Hull Ferry Port Information". BoozeCruise.com. Retrieved 24 October 2007. ^ "Leeds Bradford International Airport". Airports-Worldwide.com. Retrieved 24 October 2007. ^ "History of the Airport". RobinHoodAirport.com. Archived from the original on 23 July 2007. Retrieved 24 October 2007. ^ "Yorkshire Public Transportation Statistics". Global Public Transit Index by Moovit. Retrieved 19 June 2017. Material was copied from this source, which is available under a Creative Commons Attribution 4.0 International License. ^ "Earl of Richmond". Everything.com. Retrieved 24 October 2007. ^ "He's a shrewd, straight-talking Yorkshireman – not English, mind you, Yorkshire". Conservatives.com. Archived from the original on 17 June 2007. Retrieved 7 May 2015. ^ Keane, Peter. "Tyke: It's all the Vikings' fault (sort of)". BBC Bradford and West Yorkshire. BBC. Retrieved 14 February 2017. ^ "North Yorkshire > Voices > Glossary". BBC News. 2015. Retrieved 14 February 2017. ^ Kellett, Arnold (January 1994). The Yorkshire Dictionary of Dialect, Tradition and Folklore. Smith Settle. ISBN 1-85825-016-1. ^ Castelow, Ellen (21 April 2016). "Yorkshire Dialect". Historic UK. Historic UK. Retrieved 14 February 2017. Nah then,’ow do? – Nobbut middlin’. ^ "The National Anthem of Yorkshire 'God's own county'". DKSnakes.co.uk. Archived from the original on 12 September 2007. Retrieved 24 October 2007. ^ "Castles in Yorkshire". Britain Express. Retrieved 24 October 2007. ^ a b c "About Yorkshire". English Heritage. Retrieved 24 October 2007. ^ "Castle Howard". Britain Express. Retrieved 24 October 2007. ^ "Northside, August 2006" (PDF). NorthernLifestyle.com. Archived from the original (PDF) on 27 May 2008. Retrieved 24 October 2007. ^ Saumarez Smith, Charles (1990). The Building of Castle Howard. University of Chicago Press. ISBN 0-226-76403-6. ^ "Welcome to The Treasure Houses of England". TreasureHouses.co.uk. Retrieved 24 October 2007. ^ "The Piece Hall – Halifax". Retrieved 13 October 2014. ^ "Yorkshire & the North East". National Trust. Archived from the original on 22 October 2007. Retrieved 24 October 2007. ^ a b c "Yorkshire Abbeys – Yorkshire Minsters – Yorkshire Cathedrals". Dalesman.co.uk. Retrieved 24 October 2007. ^ a b Moorman, F. W. (1914). "English Place Names and the Teutonic Sagas". In Elton, Oliver (ed.). English Association Essays and Studies. 5. Oxford: Clarendon. p. 75f. ^ "Whitby Abbey". Whitby-Abbey.co.uk. Retrieved 25 October 2007. ^ a b "Biography of Family". BronteFamily.org. Retrieved 25 October 2007. ^ "A brief history of English literature". UniversalTeacher.org.uk. Retrieved 25 October 2007. ^ "Bronte Parsonage events and listings". digyorkshire.com. Retrieved 18 June 2009. ^ "Bram Stoker and Whitby". Dracula-in-Whitby.com. Archived from the original on 28 October 2007. Retrieved 25 October 2007. ^ "Coast: Point 6 – Stoker". BBC. Retrieved 25 October 2007. ^ "J. B. Priestley". Spartacus.schoolnet.co.uk. Archived from the original on 14 May 2011. Retrieved 25 October 2007. ^ a b c Wainwright, Martin (19 October 2005). "The 50 greatest Yorkshire people?". The Guardian. London. Retrieved 25 October 2007. ^ "Barbara Taylor-Bradford: The best-selling author on the latest in the Ravenscar saga". The Book Show. Archived from the original on 15 November 2007. Retrieved 25 October 2007. ^ "Thirsk Tourist Information". Hello Yorkshire. Retrieved 8 June 2009. ^ Tabor, Mary B. W. (24 February 1995). "James Herriot, 78, writer, Dies; Animal Stories Charmed People". The New York Times. Retrieved 6 April 2010. ^ "The Life of Andrew Marvell (1621–1678)". Luminarium.org. Retrieved 25 October 2007. ^ "Poets' Corner – Andrew Marvell – Selected Works IV". TheOtherPages.org. Retrieved 25 October 2007. ^ "Simon Armitage Biography". Archived from the original on 13 January 2013. Retrieved 5 November 2012. ^ "Visiting Yorkshire Sculpture Park – Bretton Hall". Haworth-Village.org.uk. Retrieved 25 October 2007. ^ "Yorkshire Art Galleries". My-Yorkshire.co.uk. Retrieved 25 October 2007. ^ "List of art galleries in Yorkshire". digyorkshire.com. Retrieved 18 June 2009. ^ "Yorkshire Art Gallery and Galleries". RedRagGallery.co.uk. Retrieved 25 October 2007. ^ "David Hockney". Artchive.com. Retrieved 25 October 2007. ^ "1853 Gallery". Visit Bradford. Retrieved 28 May 2008. ^ "Yorkshire clubs aim to cash in on jackpot". Yorkshire Post. 3 October 2008. Retrieved 3 October 2008. ^ "Rugby League in Yorkshire". YorkshireRugbyLeague.co.uk. Archived from the original on 22 August 2007. Retrieved 25 October 2007. ^ a b "Yorkshire County Cricket Club". Napit.co.uk. Retrieved 25 October 2007. ^ a b Ellerington, Alison (1989). The Kiplingcotes Derby. Hyperion Books. ISBN 978-0-948929-32-8. ^ a b "Yorkshire Win County Championship". Dalesview.co.uk. Archived from the original on 21 April 2006. Retrieved 25 October 2007. ^ "Yorkshire Racecourses". My-Yorkshire.co.uk. Archived from the original on 16 July 2011. Retrieved 25 October 2007. ^ "A short history of the foxhunt". The Guardian. London. 19 November 2004. Retrieved 2 November 2008. ^ "Three centuries of hunting foxes". BBC News. 16 September 1999. Retrieved 2 November 2008. ^ "Sheffield FC: 150 years of history". FIFA. Retrieved 25 October 2007. ^ "FIFA marks Sheffield FC's anniversary". FIFA. Retrieved 25 October 2007. ^ "Famous sons and daughters". SheffieldFC.com. Archived from the original on 27 September 2007. Retrieved 25 October 2007. ^ "The Ultimate A-Z of Sheffield". BBC. Archived from the original on 20 February 2007. Retrieved 25 October 2007. ^ Harvey, Adrian (January 2005). Football, the First Hundred Years: The Untold Story of the People's Game. Routledge. ISBN 0-415-35018-2. ^ "World Sports History Timeline 1921–1930". Retrieved 25 October 2007. ^ "UEFA Europa League –". UEFA. Retrieved 5 August 2011. ^ "Boro lift Carling Cup". BBC News. 29 February 2004. Retrieved 6 April 2010. ^ "Gordon Banks". IFHOF.com. Retrieved 25 October 2007. ^ "Kevin Keegan Biography". Norman Phillips Organisation. Archived from the original on 22 April 2007. Retrieved 25 October 2007. ^ Dickinson, Matt (12 September 2007). "The top 50 managers of all time". The Times. London. Retrieved 25 October 2007. ^ Henson, Mike (5 December 2017). "How Yorkshire has launched its own international team". BBC Sport. Retrieved 4 March 2018. ^ "Yorkshire". Members. CONIFA. Retrieved 4 March 2018. ^ "The History of Rugby League". Napit.co.uk. Retrieved 25 October 2007. ^ "League Champions". RLHallofFame.org.uk. Archived from the original on 14 December 2007. Retrieved 25 October 2007. ^ "Rugby League Hall of Fame". RLHallofFame.org.uk. Archived from the original on 11 October 2007. Retrieved 25 October 2007. ^ a b "Naseem Hamed profile". BBC. 12 May 2006. Retrieved 25 October 2007. ^ Nicola Adams Makes Olympic Boxing History Sky News, 9 August 2012. ^ "Knurr and Spell". Countryfile. 30 January 2011. BBC One. ^ "Yorkshire game of 'knurr and spell' rediscovered for TV". BBC News. 28 January 2011. ^ Holland, Isobel (April 2010). "Tolson Museum Top Ten – Knurrs, spell and pommel". Kirklees Council. Archived from the original on 24 March 2015. Retrieved 28 January 2015. ^ "Campbell is Yorkshire's last action hero as Hull fighter secures seventh gold for the White Rose". Yorkshire Post. 13 August 2012. Retrieved 15 August 2012. ^ "Tour de France: Yorkshire stages watched by 2.5m". BBC News. 6 July 2014. Retrieved 13 October 2014. ^ "Tour de Yorkshire cycle race is confirmed". BBC News. 26 September 2014. Retrieved 9 January 2015. ^ "Tour de Yorkshire bosses reveal start and finish locations". BBC News. 22 December 2014. Retrieved 7 January 2014. ^ "Tour de Yorkshire: More than 1.2m turn out for cycle race". BBC News. 3 May 2015. Retrieved 13 May 2015. ^ a b c "Favourite Yorkshire Recipes". Amanda Persey. Retrieved 25 October 2007. ^ "The Ultimate Yorkshire Pudding recipe". inpursuitofperfection. Archived from the original on 23 February 2014. Retrieved 7 August 2012. ^ "Individual Toad in the Hole Recipe". about.com. Retrieved 7 August 2012. ^ "Yorkshire curd tart". BBC. Retrieved 16 November 2014. ^ "Right good food from the Ridings". AboutFood.com. Archived from the original on 7 June 2007. Retrieved 25 October 2007. ^ "Yorkshire Recipes: Ginger Beer". Wensleydale.org. Archived from the original on 9 October 2007. Retrieved 25 October 2007. ^ "Liquorice in Pontefract" (PDF). Wakefield Council. Retrieved 27 November 2014. ^ "Safeguard for chocolate heritage". Yorkshire Post. 20 September 2007. Retrieved 25 October 2007. ^ "Chocolate is to York what mustard is to Norwich". VisitYork.org. Archived from the original on 31 January 2008. Retrieved 25 October 2007. ^ "Yorkshire Pikelets". Seymour-Recipes.com. Archived from the original on 12 January 2009. Retrieved 25 October 2007. ^ Roberts, John (20 October 2006). "New owner for world's largest curry house". Yorkshire Post. Retrieved 22 March 2009. ^ a b "Breweries in the Historic County of Yorkshire". quaffale.org.uk. Retrieved 3 May 2009. ^ "About Leeds Brewery". leedsbrewery.co.uk. Archived from the original on 23 July 2012. Retrieved 7 August 2012. ^ "Yorkshire Beer Guide – Sally Howard freelance writer". sallyhoward.net. Retrieved 3 May 2009. ^ "Roosters brewery – Frequently asked questions". roosters.co.uk. Archived from the original on 12 June 2008. Retrieved 3 May 2009. ^ "beer, by holy orders – St Albans Ale". Beer-pages.com. Retrieved 5 August 2011. ^ Sharp, C. J. (2003). Sword Dances of Northern England Together with the Horn Dance of Abbots Bromley. Kessinger Publishing. ^ Kellett, A. (1988). On Ilkla Mooar baht 'at: the Story of the Song. Smith Settle. ^ a b Nidel, R. (2005). World Music: The Basics. London: Routledge. p. 90. ^ "Yorkshire based Artists and Groups". Folk and Roots'. Archived from the original on 9 February 2013. Retrieved 15 December 2012. ^ "Folk songs of traditional Yorkshire to be celebrated on group's heritage website". Yorkshire Post. 1 September 2007. Retrieved 12 February 2009. ^ "Episode for 29 November 2003". Parkinson. Retrieved 29 November 2003. ^ "The All-TIME 100 Albums". Time. 2 November 2006. Retrieved 25 October 2007. ^ "Will the gods come from Leeds?". BBC. Retrieved 25 October 2007. ^ "Common People". BBC. Retrieved 25 October 2007. ^ "Arctic Monkeys win Mercury Prize". BBC News. 5 September 2006. Retrieved 25 October 2007. ^ "Summer Wine – The Story". Summer-Wine.com. Archived from the original on 1 May 2008. Retrieved 3 October 2008. ^ "Monty Python's 'Life of Brian' tops Best British Movie list". Yahoo!. Archived from the original on 5 January 2008. Retrieved 25 October 2007. ^ "Yorkshire on Film and TV". Yorkshire Net. Yorkshire Net. 2016. Retrieved 10 February 2017. ^ Travis, Ben (28 August 2016). "Victoria, ITV: cast, locations, and four other things you need to know about the period drama". London Evening Standard. Retrieved 10 February 2017. It was mostly filmed in Yorkshire. Recreating the opulence of royalty was achieved by a mix of locations and studio shoots. ^ Jacobs, Sherelle (6 October 2016). "Victoria: filming locations in Yorkshire and where to stay". The Daily Telegraph. London. Retrieved 10 February 2017. ^ "Productions at North Light Film Studios". North Light Film Studios. North Light Film Studios. 2017. Retrieved 10 February 2017. ^ "Film & TV". Examiner. Huddersfield. 29 October 2016. Retrieved 10 February 2017. ^ Ballinger, Lauren (5 December 2014). "North Light Film Studios – Remember Me filming locations". Examiner. Huddersfield. Retrieved 10 February 2017. ^ Rees, Caroline (3 November 2013). "Sally Wainwright: not the same old". The Guardian. Retrieved 19 January 2014. ^ Bremner, Jade (11 December 2013). "Last Tango in Halifax actress Sarah Lancashire begins shooting new crime drama in Yorkshire". Radio Times. Retrieved 19 January 2014. ^ "Creative England provides filming location and crew support to new BBC drama Happy Valley when filming in Yorkshire". Creative England. 29 April 2014. Retrieved 12 June 2014. ^ Gildea, Samantha (1 February 2016). "Jericho filming locations". Examiner. Huddersfield. Retrieved 10 February 2017. ^ a b c "Parliamentary Constituencies in the unreformed House". Election. Demon.co.uk. Retrieved 25 October 2007. ^ "1885 Redistribution Act". Revision-Notes.co.uk. Archived from the original on 12 October 2007. Retrieved 25 October 2007. ^ "Local Government Act 1888". Government of the United Kingdom. Retrieved 25 October 2007. ^ "Representation of the People Act 1918". Parliament.co.uk. Archived from the original on 11 March 2007. Retrieved 25 October 2007. ^ "Local Government Act 1972". Government of the United Kingdom. Retrieved 25 October 2007. ^ "White Rose or Red". AroundSaddleworth.co.uk. Archived from the original on 28 July 2011. Retrieved 25 October 2007. ^ "Elsewhere (reprint of original article)". The Guardian. 23 September 2004. Archived from the original on 16 March 2009. Retrieved 30 December 2010. ^ "About". Yorkshire Ridings Society. Retrieved 3 June 2009. ^ a b Read, Herbert (31 January 1929). "Review of Frederic Richard Pearson, Yorkshire". The Times Literary Supplement. p. 79. ^ Hazell, Robert (2000). The State and the Nations: The First Year of Devolution in the United Kingdom. London: Imprint Academic. p. 118. ^ "Where there's muck". The Independent. 18 March 1999. p. 3. ^ "New Director for Campaign Group". Scunthorpe Evening Telegraph. 13 October 1999. p. 5. ^ Wainwright, Martin (18 March 1999). "Revolutionary Yorkshiremen edge towards devolution". The Guardian. p. 11. ^ Martin, Andrew (4 August 2000). "Arts: Where There's Muck, There's Art". The Independent. p. 9. ^ Yound, Robin (8 March 2001). "Ee by gum! Yorkshire gets its own degree". The Times. London. ^ Plomin, Joseph (8 March 2001). "Hull launches degree in Yorkshire studies". The Guardian. London. ^ Woodward, Grant (6 July 2015). "The grass roots party putting Yorkshire first". Yorkshire Post. ^ "The Rulers of Jorvik (York)". Viking.no. Retrieved 24 October 2007. ^ "Jorvik – who Ruled it and When?". Viking.no. Retrieved 24 October 2007. ^ a b "Timeline of North East History". NorthEastEngland.talktalk.net. Retrieved 24 October 2007. ^ "Murder in the Cathedral: Crown, Church and People 1154–1173" (PDF). SQA.org.uk. Archived from the original (PDF) on 27 May 2008. Retrieved 24 October 2007. ^ "The White Rose of Yorkshire". YorkshireHistory.com. Retrieved 24 October 2007. ^ "Why a Yorkshire Branch Site?". Richard III Society – Yorkshire Branch. Archived from the original on 24 November 2007. Retrieved 24 October 2007. ^ "The Dukes of the Peerage of the United Kingdom: Duke of York". UKDukes.co.uk. Archived from the original on 19 March 2008. Retrieved 24 October 2007. This page was last edited on 17 April 2019, at 08:41 (UTC).